Free Johnny Reid tickets go to the first 80 paid Prime Rib Buffet's Friday, February 5th at Paradise Canyon. Buffet runs from 5pm - 8pm for $28.95 per person. Reservations required, 1 ticket per paid buffet, must be in attendance to claim your ticket. 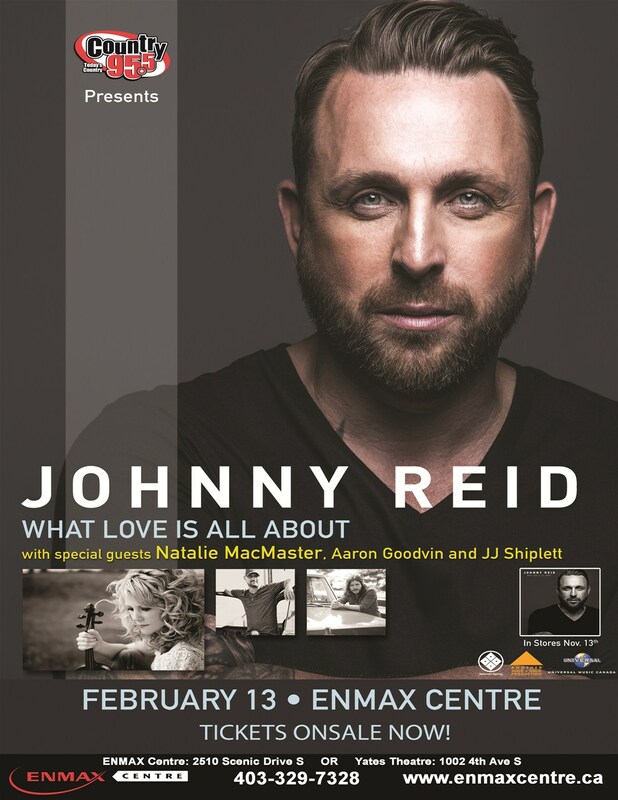 Johnny Reid's show is at 7pm on Saturday, February 13th at the Enmax Centre. Please email restaurant@playinparadise.com to book your reservations and tickets.